Leonard died of end-stage COPD (chronic obstructive pulmonary disease). Caused by years of smoking, too much damage had been done so that, even though he quit 30 years ago, the end was inevitable. According to a recent study by Banks et al published in the BMC Journal, smokers have 3 times the risk of premature death over non-smokers. The larger the number of cigarettes smoked, the higher the mortality rates. Smoking is harmful not just to the smoker, but deadly poisonous to the people around them too. Smoking causes many problems, including cancers of the lung, throat, kidney and stomach. It is a major risk factor in heart disease, stroke, COPD, among others. Some people might ask with fatalism: if you quit for 30 years like Leonard but still have the damage, why quit? The answer of course, is that not quitting in the first place would have gotten you to that end stage a lot sooner. Think about how much difference a few years could make to your Life and I think the value of quitting is clear. Health is a lifestyle and a responsibility. Leonard took responsibility for his decision to smoke, and later after quitting, he tried to warn others against doing the same. Here are some of his recent tweets about smoking. I quit smoking 30 yrs ago. Not soon enough. I have COPD. Grandpa says, quit now! When I was addicted to cigarettes I ignored good medical advice. Addicts have lying ears. Nicotine is the hook. Smoke is the dagger. Don’t smoke. I did. Wish I never had. The really sad thing is that were it not for the smoking-related damage, Leonard would still be with us, continuing to contribute. That’s one very key point in AA35. Health is a keystone and if you have more of it, you can do more, for a longer time. When you’re young, it seems like you’ll live forever. There’s always plenty of hope, optimism and time in the unknown future. One day you’ll become rich. One day you’ll become famous. One day you’ll meet that special person in your Life and spend the rest of your days together. But HEALTH is one thing you cannot decide to just acquire “one day”. How you Live RIGHT NOW and what your health is will impact what it will be that “one day”. If you fantasize about being rich, famous, or having a special other, but don’t work to make that happen, when that ”one day” arrives you may just find that you DIDN’T become rich, DIDN’T get famous, DIDN’T find that special ever-after someone. If you just fantasize about being healthy without working on it, when that “one day” arrives, you may just find yourself dead. Do you remember when you were a kid or a teenager, and you idolized some actor or music idol? The larger-than-Life icons and inspirations that made you fantasize that you too could be a hero or a star when you grew up? Just as my parents’ stars got old as they got older, mine did too. Just as some of theirs, like Steve Reeves, passed away, so did mine. And now Leonard Nimoy has gone too. And deep in the recesses of my mind, I wonder, who will be next? I remember being pleased to see Leonard Nimoy reprise his role as Spock in the Star Trek: The Next Generation episode “Unification” in 1991. He was 59 then. I was absolutely thrilled when the 2009 film came out, because he played such a starring role in it. He was 78. I was delighted that he was still acting because it implied that faculties like memory, imagination, speech and mobility were still going strong. He even had a cameo in the 2013 film. I assumed that he would always be acting and contributing to the Star Trek Universe, because it was like he was a real long-lived Vulcan. Famous people passing is a reminder that nothing escapes the reality of Life and living. It doesn’t matter who you are. How rich, how powerful, how famous, how enviable a Lifestyle you have. Everybody dies. The difference is in what you do with the time you have and whether living it affected people around you in a positive or a negative way. 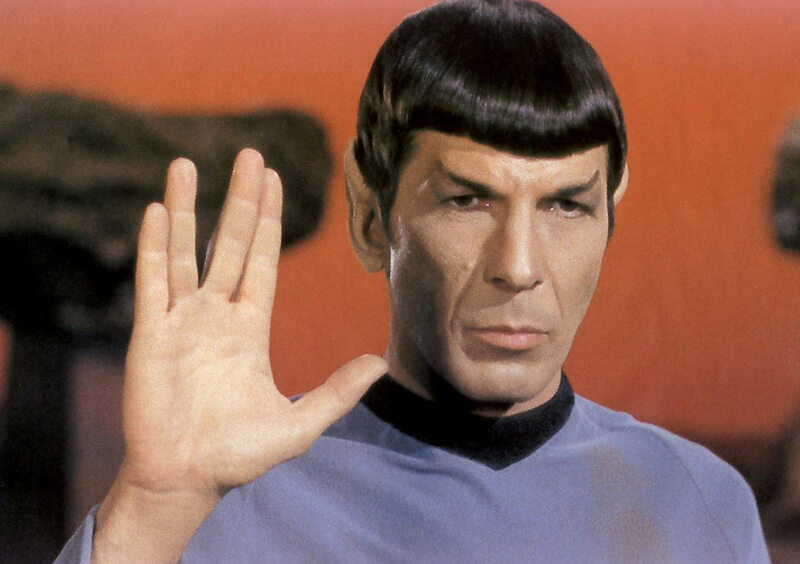 Leonard Nimoy delighted fans with his portrayal of Spock, but he also directed, sang, and wrote poetry. He did voice recordings (if you can still find them, his Alien Voices series of science fiction readings is really good). He had 1.1million Tweeter followers and that was a platform from which he often gave advice on quitting smoking, bullying, and Life in general. As you live each day, are you cognizant of what you’re doing and why you’re doing it? Do your daily activities help create a fulfilling Life of happiness for your and your loved ones? Are you heading towards something higher or are you the same spot as you were yesterday? Do you believe that Life has more to offer, and you are doing something that improves it each day? And while reaching out for that “more” or that “higher”, are you taking care to enjoy the journey itself and the people in it? It’s true we don’t know how much time we are gifted with to create our Lives. It’s true it’s not how LONG you live; it’s what you leave behind. But it’s also true that if you live a good Life, the longer you live, the more you’ll leave behind. Let’s maximize the length by living a healthy Lifestyle. Eat correctly. Exercise regularly. Don’t smoke. Let’s maximize the quality by living a Good Life. Maximize your potential, learn as much as you can, contribute to the Lives of people around you. And at the end of it all, you can never say your Life was wasted.